Chop2PotPlus (JJCHOP2) at Pure Design / Accessories / Kitchen ::: Furniture for the Home, Office, Home Office, and More at Pure Design Online! 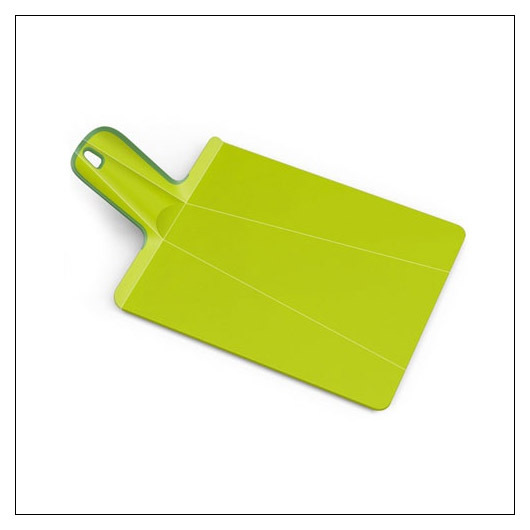 The original folding chopping board! When laid flat, the Chop2Pot Plus provides a durable, knife-friendly cutting surface for food prep. Then squeeze the handle and watch as the sides of the board fold, creating a chute on which chopped food can be neatly guided down. Especially good for those of us not quite so handy in the kitchen! Dishwasher safe, the Chop2Pot Plus has a soft-grip handle and non-slip feet for extra safety and convenience.